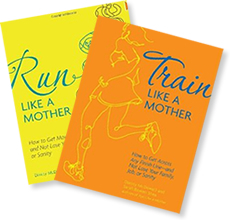 Do you know the wonderful Mother Runners behind Another Mother Runner, Sarah and Dimity? If not, you MUST go follow their blog, find them on Twitter, visit on Facebook, etc, etc. You get the idea. I've loved their podcasts, used elements of their Train Like a Mother plans for a couple of my races and their support to the Mother Runner community is outstanding. Plus, they're pretty freaking funny. These lovely ladies have asked me to help out at a couple race expos this year for AMR and I couldn't be more excited. If you are running the Gazelle Girl Half Marathon or 5k in Grand Rapids, Michigan this April, you must stop by their booth and say "hi" to me. I'll let you know where I'm going to be for the 2nd expo once the details are ironed out. When I saw their Another Mother Runner 2014 Party Schedule, I about fell out of my chair. They are going to be in Charleston, SC while I'm there for spring break!!! I actually get to meet these two the week before Gazelle Girl - it really must be fate!